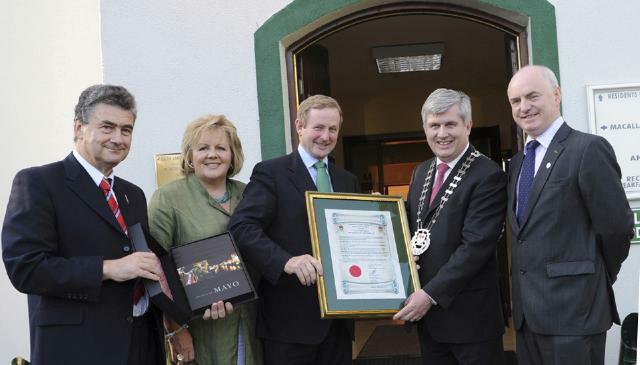 The Cathaoirleach Michael Burke and Members of Mayo County Council accorded a Civic Reception to An Taoiseach Enda Kenny at a reception at Lough Lannagh Lodge Castlebar. Included in photo An Taosieach Enda Kenny, Michael Burke, Cathaoirleach, Peter Hynes, County Manager, John Condon, County Secretary, Seamus Granahan, Town Manager, and county councillors. Photo Tom Campbell. 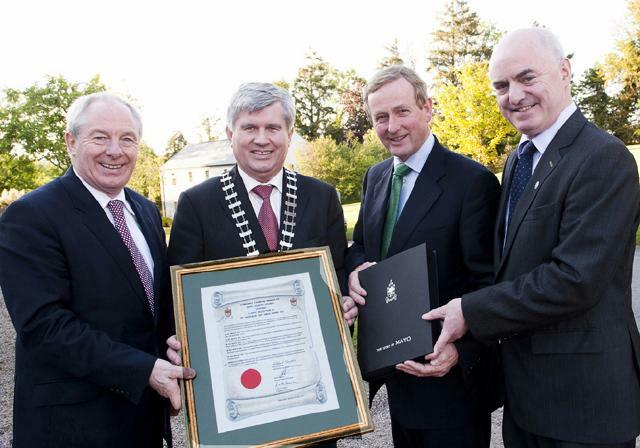 The Cathaoirleach Michael Burke and Members of Mayo County Council accorded a Civic Reception to An Taoiseach Enda Kenny at a reception at Lough Lannagh Lodge Castlebar. The Cathaoirleach Michael Burke and Members of Mayo County Council accorded a Civic Reception to An Taoiseach Enda Kenny at a reception at Lough Lannagh Lodge Castlebar. 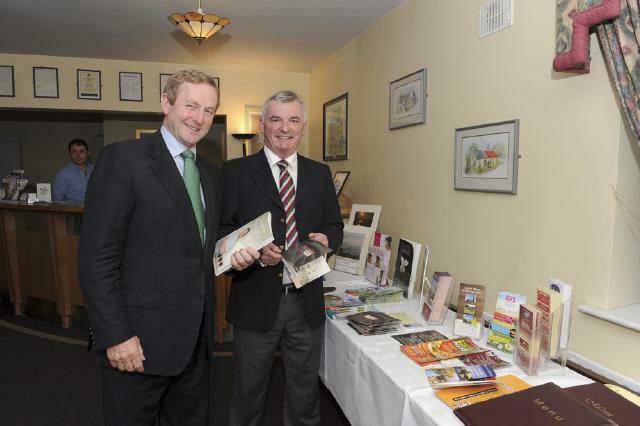 An Taoiseach Enda Kenny Photographed with Paul Lennon Manager Lough Lannagh Holiday Village. Photo Tom Campbell. 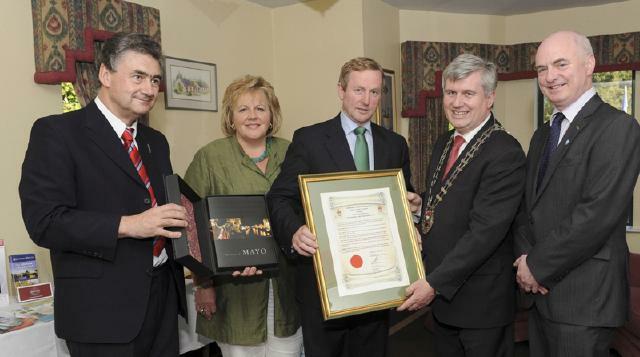 The Cathaoirleach Michael Burke and Members of Mayo County Council accorded a Civic Reception to An Taoiseach Enda Kenny at a reception at Lough Lannagh Lodge Castlebar. An Taoiseach Enda Kenny Photographed with a Group of Hens from Ballyconnell Co Cavan Photo Tom Campbell. 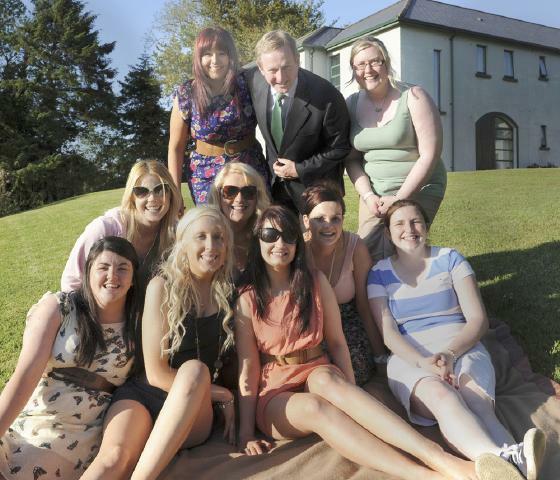 An Taoiseach Enda Kenny with a group of 'hens' visiting from Ballyconnell, Co. Cavan. Photo Tom Campbell. The Cathaoirleach Michael Burke and Members of Mayo County Council accorded a Civic Reception to An Taoiseach Enda Kenny at a reception at Lough Lannagh Lodge Castlebar. LtoR John Condon County Secretary,Fionnuala Kenny,An Taoiseach Enda Kenny,Michael Burke Cathaoirleach,Peter Hynes Co Manager. Photo Tom Campbell. The Cathaoirleach Michael Burke and Members of Mayo County Council accorded a Civic Reception to An Taoiseach Enda Kenny at a reception at Lough Lannagh Lodge Castlebar. LtoR John Condon County Secretary,Fionnuala Kenny,An Taoiseach Enda Kenny,Michael Burke Cathaoirleach,Peter Hynes Co Manager.Photo Tom Campbell. The Cathaoirleach Michael Burke and Members of Mayo County Council accorded a Civic Reception to An Taoiseach Enda Kenny at a reception at Lough Lannagh Lodge Castlebar. Included in photo An Taosieach Enda Kenny and his wife Fionnuala, Michael Burke, Cathaoirleach, Peter Hynes, County Manager, John Condon, County Secretary, Paddy Bourke, Cathaoirleach Seanad Eireann, and county councillors past and present and friends .